2013-2017 Creative Investment Realtor "Xin loi, chiu khong noi! "..Son Tran always wears that joke and smile on his face, signifying how much he enjoys selling houses. A high caliber accolade of Advance Estate Realty, Son Tran does everything right to get your home SOLD at the hishest price in the time frame that suits you. 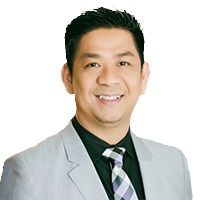 Son Tran brings a successful 15-year career in sales to his role as a "Creative Investment Realtor' of Advance Estate Realty. With over a decade of first-hand knowledge of the ever-changing Orange County real estate market, Son Tran is committed to providing exceptional service to both buyers and sellers of residential property. His professional approach and analytical, process-minded style make him excellent at assessing real estate options and guiding his clients to the best solution. Goal driven, Son Tran takes a proactive track to real estate sales and he prides himself on excellent client communications, keeping clients informed throughout all phases of the transaction. Whether you are buying or selling real estate, you can count on Son Tran to deliver positive results.